Around lunchtime on Monday Eskom for the first time in its history implemented stage 4 load shedding, causing South Africans to scramble to consult load shedding schedules to find out how long the power would be off. There had been no rotational power cuts over the Christmas season and during January. But on Sunday, three days after President Cyril Ramaphosa delivered his State of the Nation address, the power utility implemented stage 2 load shedding. Stage 2 cuts continued into Monday, but were upgraded to stage 4 after seven generating units tripped. The last time Eskom had to cut this much power from the national grid - between 3000 and 4000 megawatts - was in 2014/2015. Energy commentator Chris Yelland, investigative editor at EE Publishers, said on Monday afternoon that Eskom and the country’s energy supply were now in “unchartered territory”. An Eskom insider, meanwhile, said this was the “worst crisis” the power utility has faced in its history. Here's everything you need to know about the latest round of load shedding as concern grows over its impact on businesses, the economy and investor confidence. Load shedding is like balancing a scale. It is undertaken by Eskom as a measure of last resort when it judges there may be insufficient power generation to match demand. To prevent a nationwide blackout and total collapse of the grid which would require days to fix, Eskom juggles available supply and demand using rotational power rationing. When load shedding is implemented by Eskom, municipalities cut power to "blocks" according to a published schedule. Eskom also cuts power to customers that received electricity directly from it. What do the different load shedding stages mean? The stages refer to the amount of power Eskom "sheds" from the system. In the summer, during the week, the entire country requires approximately 30 000 MW to power industry, business and households on a daily basis. In winter the power supply required is around 35 000 MW per day. South Africa has an installed generating capacity of about roughly 47 000 MW, which would appear to be more than enough. But plant breakdowns can quickly cut into the available capacity. Scheduled maintenance, meanwhile, means that a certain number of plants may be offline. In addition, not all power generating units function at optimal capacity due to wear and tear, age, lack of maintenance or design flaws. In the past strikes, protests and allegations of sabotage have decreased available capacity, as have coal supply shortages, and damage to the power lines that transport electricity to South Africa from Mozambique. What is the difference between the stages? Stage 1 allows for up to 1000 MW of the national load to be shed, stage 2 allows for up to 2000 MW to be shed, stage 3 for 3000 MW, etc. The stage 4 load shedding implemented on Monday afternoon, cut 4 000 MW from the national grid. Stage 4 means you will be scheduled for load shedding 12 times over a four-day period for two hours or 12 times over an eight-day period for four hours at a time. This depends on what load shedding schedule your municipality is using. The frequency of load shedding increases as stages increase. The actual stage in use at the time will be displayed on the main Eskom website, the utility's dedicated load shedding website, as well as on the MyEskom App. Why is there load shedding now? There are a number of conspiracy theories floating around which include sabotage by trade unions ahead of planned restructuring announced by President Cyril Ramaphosa, however there is no evidence of this yet. What we do know is Eskom has severe maintenance issues at plants which caused load shedding in November and December. Plant breakdowns, meanwhile, are higher than normal according to an Eskom insider, making performance unpredictable. When plants break down, smaller amounts of coal can be used and Eskom relies on emergency reserves of water and diesel to power generating units. Eskom spokesperson Khulu Phasiwe confirmed to Fin24 that the power utility has been using water and diesel “almost every day” in the last week due to plant breakdowns. The power utility said on Tuesday morning that despite the generating units returning to service, water and diesel levels remain low and need to be replenished. This triggered the need for stage 3 load shedding between 8:00 and 23:00. How is it decided which areas go without electricity? This is a predetermined schedule decided upon by Eskom, the department of energy and the South African Local Government Association or municipalities. People can check their load shedding schedules either with their municipalities or Eskom if they’re a direct customer. Larger municipalities and metros, as well as Eskom itself, have control rooms where technical operators switch off the various areas by remote control, using a diagram as they cut off certain areas and bring others back onto the grid. Some smaller municipalities which are not fully automated require technicians to physically go to the sub-stations and switch off the circuit breaker. How long does load shedding last? The power cuts usually last for two or four hours. 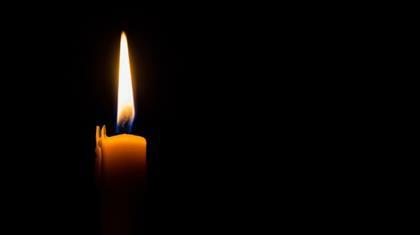 City Power and Eskom in Johannesburg have four-hour long load shedding blocks. Each time period has an additional 30 minutes added to allow for switching of networks in a way that will not damage the power system. In smaller municipalities, which require technicians to physically go to the sub-stations, this period could be longer due to driving conditions or traffic. When will the load shedding period be over? Improving maintenance is not an overnight issue and has to be planned at least 18 months in advance. Minister of Public Enterprises Pravin Gordhan held an urgent meeting with Eskom executives on Monday to address the electricity crisis. Eskom’s finances are in dire straits. It has R419bn in debt which it is unable to service from its current revenue. It does not make a profit from selling electricity at current price levels. President Cyril Ramaphosa announced in his State of the Nation Address last week that the power utility will be split into three separate entities and further announcements about supporting Eskom’s balance sheet will be made in the Budget speech next week.